A borough charity has been shortlisted for a national award in recognition of its unique and pioneering approach to improve the lives of north east children and families who are living in poverty. 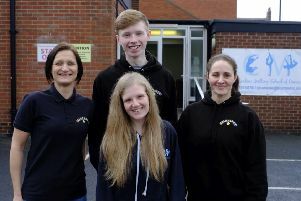 North Shields based Tyne Gateway Trust has received recognition for its work through the National Lottery Awards, and stands to win £2,000 for its role in devising practical solutions to help and support vulnerable families and communities. Director Pauline Wonders, said: “Our team work very hard to gain the trust of the families we engage with and we get real results from it – not just in terms of statistics, but the main thing for us is that we help to bring about lasting change for families and wider communities. To vote for Tyne Gateway Trust in the awardsjust , visit www.lotterygoodcauses.org.uk or call 0844 836 9686 before July 29.